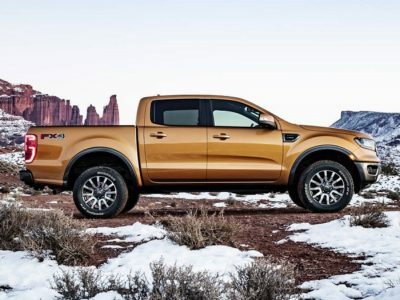 Ford may not be the most avant-garde company when it comes to passenger cars but in the truck segment, it definitely sets new standards, permanently. 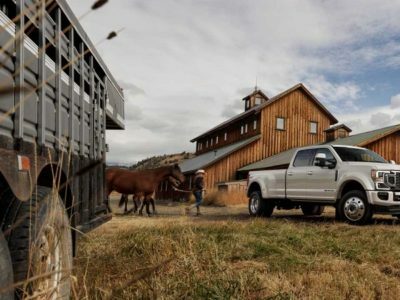 Of course, the base light-duty F-150 has been the best-selling truck for years, but Super Duty series is also by far the most popular models among HD trucks. 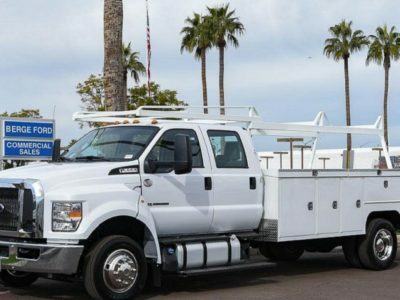 One of the most representative models in this class is the F-350. It is a highly capable truck which offers superior performances but also provides an amazing level of comfort. The current-generation models came about two years ago. 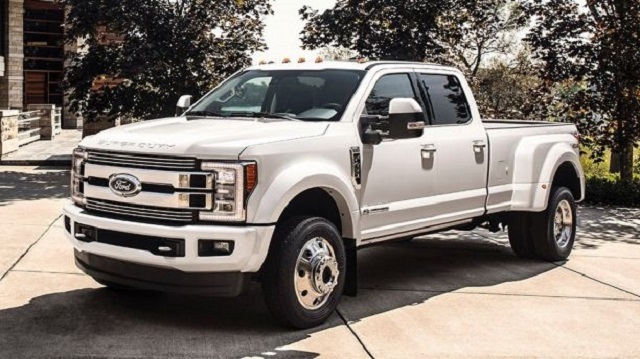 This clearly indicates that the 2019 Ford F-350 Super Duty will continue in the pretty much same way. Expect to see same design characteristics, as well as the same visual appearance. Still, some minimal tweaks in terms of new color options and similar things are highly possible. Expect to see 2019 Ford F-350 Super Duty by the end of the year. In terms of base design characteristics, this is a classic heavy-duty truck. 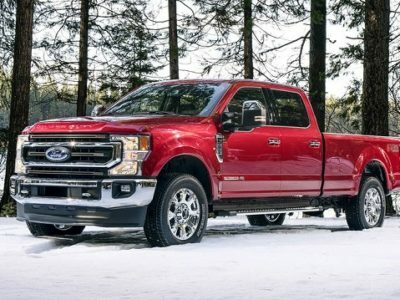 It stands in the middle of Ford’s Super Duty lineup, between entry-level F-250 and top-range F-450, which seems easy to figure out by model’s designation. The relatively recent redesign has brought a lot of improvements. The new model offers better performances, a higher level of comfort and better overall quality. 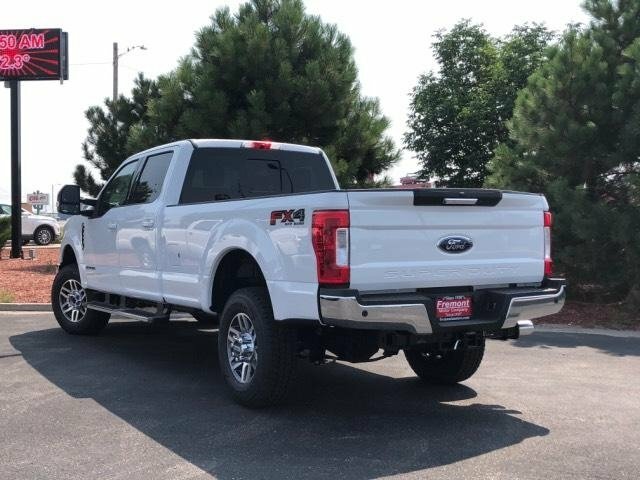 Of course, there is a new styling, which is in this case pretty distinctive, not only compared to the F-150 but to rest of the Super Duty lineup as well. The interior design seems pretty upscale as well, especially if you choose some of the higher trim levels. In that case, you can count on a cabin that is not just more car-like than before, but also comes with plenty of quality materials, soft on touch, and with a full load of tech features. When it comes to body styles and trim levels, this model comes in numerous configurations. We get used from Ford’s trucks to come in numerous version and this one isn’t an exception at all. Moreover, it comes with six trim levels in total. Those are XL, XLT, Lariat, King Ranch, Platinum, and Limited. 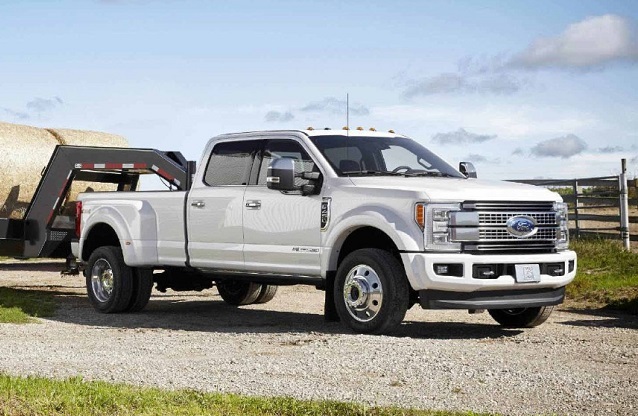 The 2019 Ford F-350 XL is a classic work machine. It is a pretty straightforward trim level, which focuses on utility tasks, so there is no too much comfort and convenience. Some of the notable standard features are four-speaker audio system and a rearview camera. The XLT isn’t much of an upgrade in terms of comfort but still adds few useful things. The first thing you’ll notice is a set of alloy wheels with 18 inches in diameter. On the inside, you can count on a 4.2-inch display, cruise control, voice recognition etc. Also, there are power and heated side mirrors with integrated turn signals. 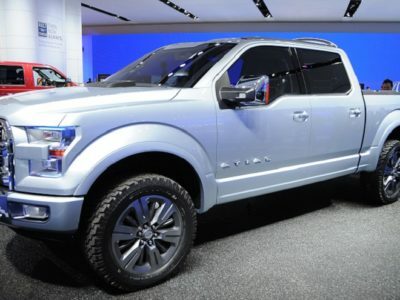 One of the most popular trims of this truck is the Lariat. This is a well-balanced version, which comes with a pretty decent list of standard equipment. You can even count on things like power-adjustable pedals, power-sliding rear window, and parking sensors. Also, there is an 8-inch touchscreen interface, as well as dual-zone automatic climate control. 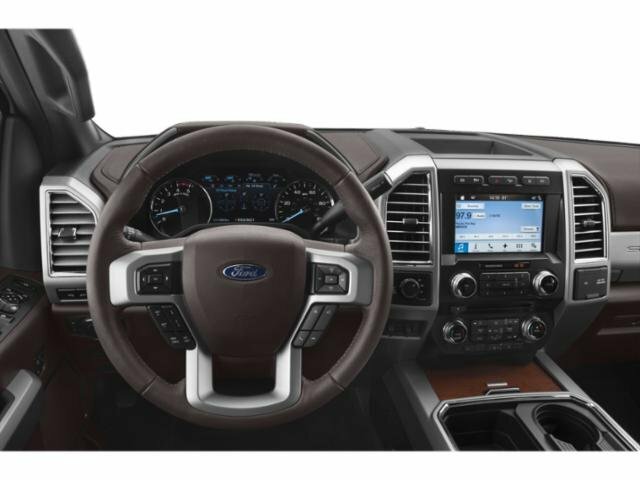 The Western-inspired King Ranch adds a lot of comfort and convenience. Besides unique exterior details, you can count on things like leather upholstery, heated and ventilated seats, driver memory settings, remote start, heated steering wheel etc. 2019 Ford F-350 Platinum will also come with some nice visual upgrades, including large 20-inch wheels. Still, the thing that separates this one from lower trims is a pretty long list of safety features. Some of the highlights are systems like blind spot monitoring with rear cross-traffic alert. Also, count on LED headlights and automatic wipers. In pretty much all Ford models, the Limited nameplate is reserved for top-range models. This truck is no exception. It adds things like a sunroof, 360-degree camera, adaptive cruise control and much more. 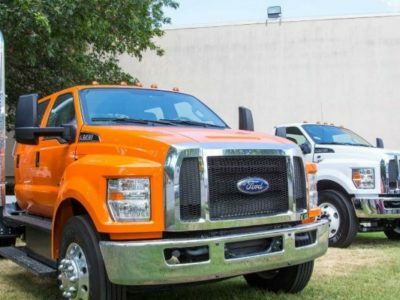 Speaking of the powertrain, the 2019 Ford F-350 Super Duty will come with two engines in the offer. Base models will feature a familiar V8 gasoline unit, which delivers around 385 horsepower and 430 pound-feet of torque. For those who prefer something more capable, the real deal comes with the large 6.7-liter diesel engine, which features a max output of 450 horsepower and monstrous 935 pound-feet of torque. Such a huge amount of torque guarantees impressive towing ratings. When properly equipped, this version is good for about 20.000 pounds. It is also a great choice for heavy loads, considering max payload capacity of 4.000 pounds. Transmission is a familiar 6-speed automatic, which delivers power to rear wheels in base variants, while 4×4 is optional. The 2019 Ford F-350 Super Duty will come by the end of the year. base models will go around 35.000 dollars. When it comes to the competition, key rivals will be models like Chevy Silverado 3500HD and Ram 3500.